1. Your purchase triggered fraud protection. Your credit card company knows your spending habits and history, so if an out-of-the ordinary change appears, it will raise a red flag. This could be anything from shopping where you've never shopped before, making several purchases in a short period of time (especially at similar stores), charging a large amount, shopping in places you're traveling, or buying things in different geographic locations in the same day. Chances are your card has not been compromised and you just need to make a phone call to your company to verify your identity and authorize the transaction. 2. You're making an international purchase. Anything from foreign travel costs to shopping abroad could present another fraud alert to your credit card company. If you're traveling abroad, be sure to give your credit card company a heads up so your card won't be suspended. An online purchase through an international vendor could also be a red flag, because it will appear to the company as a transaction in another country. Be sure the website you're purchasing from is legitimate to prevent any kind of identity theft or fraud. 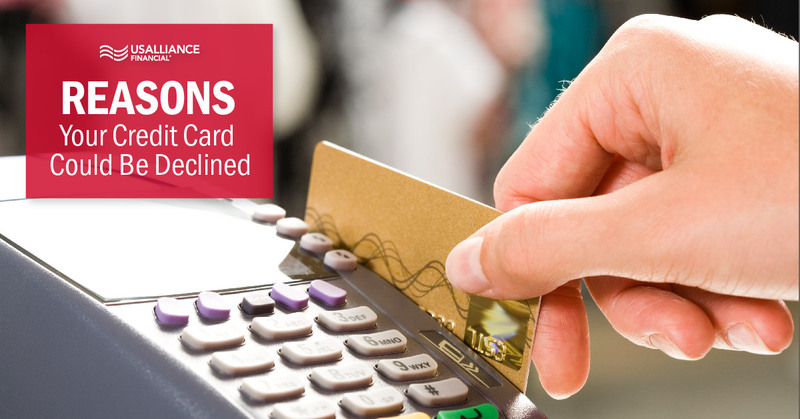 If your card doesn't go through, call your card provider and and clarify that your purchase was intentional. 3. You reached your credit limit. Whoops- you maxed out. If you don't pay your credit card balance in full each month, you begin to eat away at your available credit until you're cut off. Be sure to pay off the balance so you can get back to using your card again. Be mindful though- maxing out frequently will have a negative impact on your credit score. 4. There's a hold on your account. When traveling, a hotel or rental car service could issue a hold on your account to ensure you'll have enough credit to pay for the service when the final charge is placed. After you leave your hotel room unscathed or return the rental car scratch free, the hold should be lifted. However, you may hit your max while the hold is on your card, especially if you are close to your limit. When traveling, you should ask how much the hold will be and how long it will last. Be sure to carry extra forms of payment when traveling just in case. It's easy to forget your credit cards have an expiration date, which is usually two to three years after they were issued. Even if it's slipped your mind, your credit card company should send you a replacement card prior to your card's expiration date. Be sure to check your mail and then activate your new card when it arrives so you don't get stuck at the register with an expired piece of plastic. 6. The information you entered doesn't match your records. When shopping online, it's possible to enter your credit card information incorrectly. Go back and double check your card number, expiration date, security code, zip code, or any other information on the form. Fix any typos you see because if you make a mistake like this repeatedly, it could raise a red flag to your issuer as fraud and your account could be frozen. 7. Your account is delinquent. 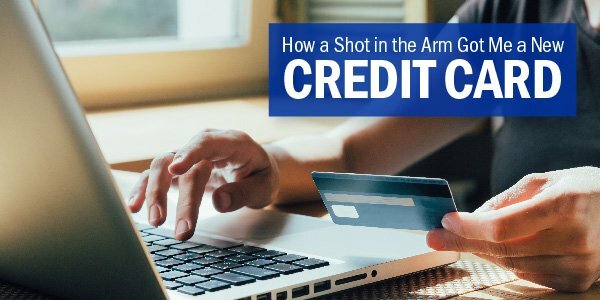 Even if you haven't maxed out, your credit card company might cut you off until you pay your balance once you miss a payment or two. If your company doubts your ability to pay, you'll be kept on a tight leash each month. 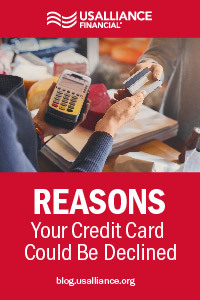 If this is the reason your card is declined, pay your balance asap because it will have detrimental effects on your credit score. 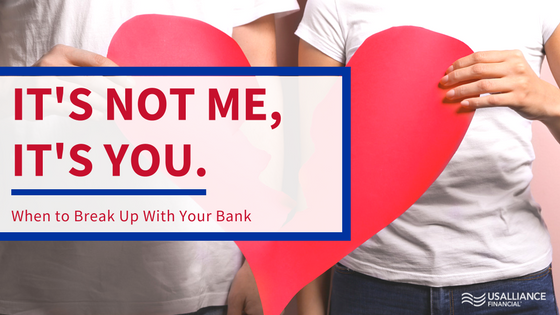 Though it's embarrassing, getting your credit card declined doesn't necessarily mean there's a problem with your account. Your credit card company is looking out for you by making sure your account information hasn’t been compromised or by making sure you don’t charge more than you can pay. Have your credit card company’s number saved in your phone so you can always make a call if something doesn’t seem right, and always carry an alternate from of payment on you, whether it’s cash, a debit card, or another credit card. We take our credit cards seriously by offering 24/7 fraud protection tracking and account alerts to help you better manage your credit account.